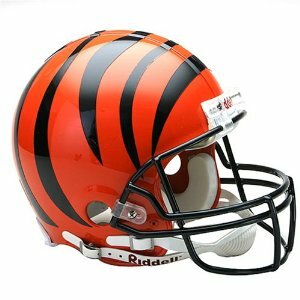 The Bengals have been searching for a missing piece for years to put them over the Wild Card hump. While Andy Dalton is 0-4 in the playoffs, the fact that he got there four times shows that there’s something good going on for this team. Dalton is good enough to get the ball to A.J. Green, which should be adequate, and it could be, but they have to generate a pass rush. The Bengals were dead last in sacks last year. How about an edge rusher with all the upside in the world who can immediately contribute as a package player and may surprise with even more production? Some are very high on Alvin Dupree, top-10 high, the board didn’t fall that way, much to the Bengals delight, so they snag the last true first-round talent at edge rusher. There’s a possibility he could end up being the best of the bunch; his measurables are insane. He does a nice job setting the edge in the run, but he’s often fooled on free releases during screens, so his awareness has got to raise in the NFL or teams will burn him for it. 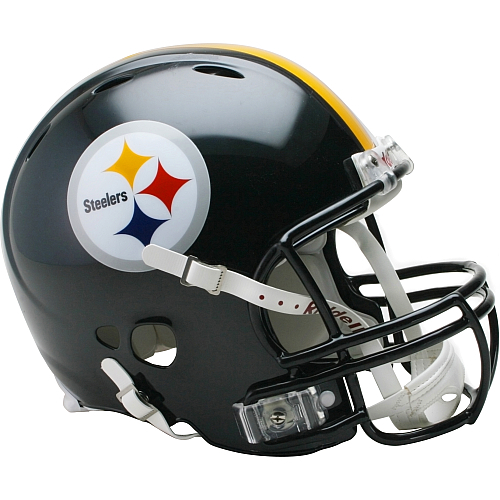 After watching Dupree get snagged, the Steelers finally have to get serious about upgrading the corner position; one they’ve neglected since Keenan Lewis left for New Orleans. Ike Taylor is done and Brice McCain is a second corner at best. Unfortunately there are no first round safeties available, which is also a huge need, so they grab a corner that is probably the most ready to contribute right away. He needs to put on a few pounds, but Johnson has the prototypical frame, the coverage skills, athleticism and, most importantly, a nonstop motor. 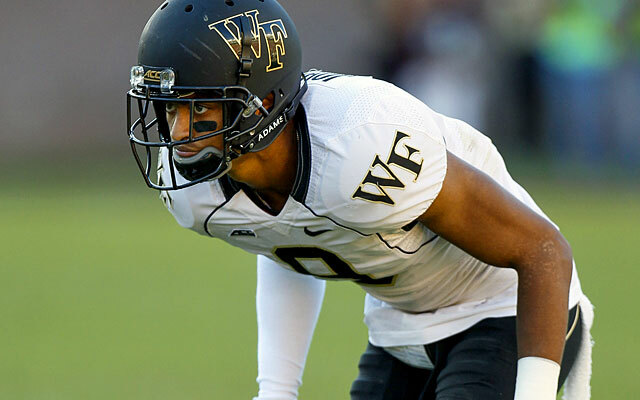 He’s a three year starter at Wake Forest who has loose hips and quick-twitch traits to close on the ball at the point of the catch. 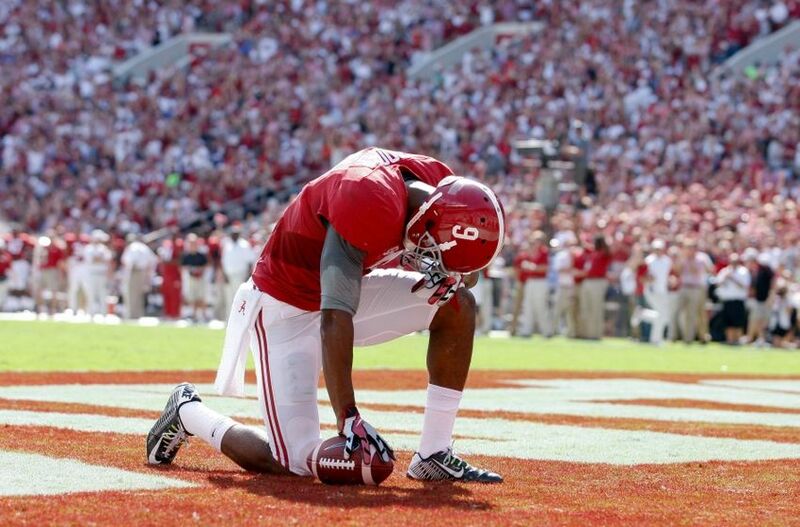 He’s a true cover corner but is known to respect the deep ball too much and can give up receptions that way. That means he’s also susceptible to back shoulder throws which will cause a decent learning curve in the NFL. He’ll be an excellent gunner on special teams from day one. 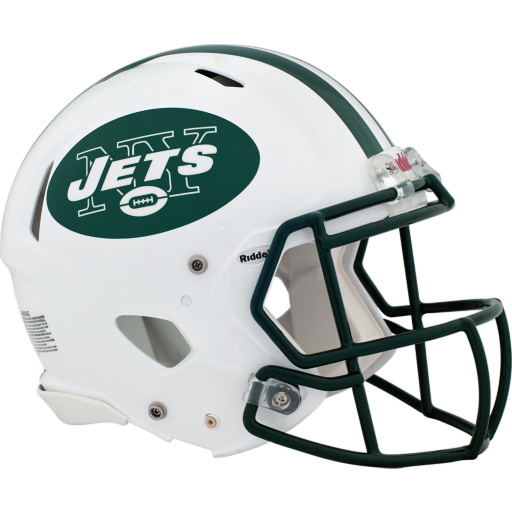 NFL Comparison: Darrelle Revis (CB, New York Jets)- prototypical height, highly impressive mirroring abilities in press coverage, feisty play demeanor with that unteachable ability to get away with penalties. The Lions would love an impact player on the defensive line here since the cupboard is now bare behind recent acquisition Haloti Ngata, but there are no more first round talents at the spot. With no trade partners, they snag a player in Andrus Peat who has slid a bit more than expected. Many have him as a top 3 offensive tackle in this year’s draft and some have hailed him as the most pro-ready as a bookend. Peat is an absolute technician which will give him plenty of reps early on in his career but he has to continue to develop as an athlete and learn to be meaner. He will get pushed around at the next level against big, heavy bull rushers which is concerning since edge rushers are so big at the pro level. He can handle the speed rush beautifully with exceptionally quick feet and a nice, legal hooking move in case they get outside his hip. 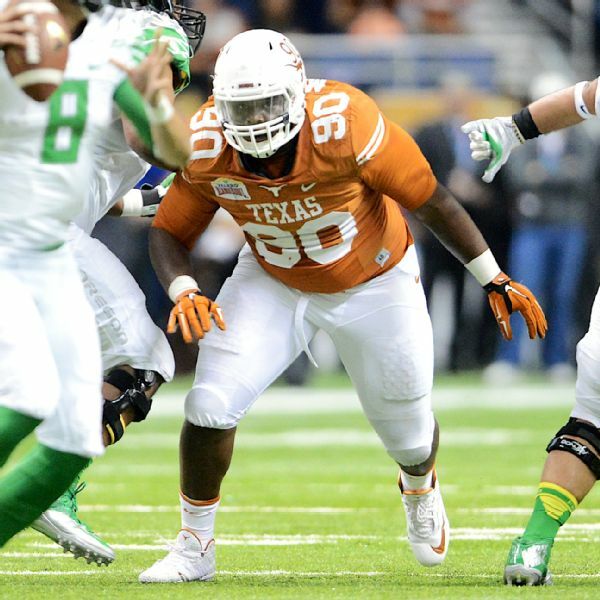 He’s solid, but unspectacular as a run blocker and must be more proactive in that phase. He needs to learn to use his massive frame and get better pad level. If he can do that, the Lions will have a top-5 talent here at 23. NFL Comparison: Matt Kalil (LT, Minnesota Vikings)- With exceptional feet and hands, can handle speed rushers with ease but susceptible to bull rush, needs to refine technique and build strength in legs to become a more effective run blocker. Yes, the Cardinals could always use more defensive players, especially with the departure of Darnell Dockett and the aging/unreliable linebackers they currently have. But how long has it been since the Cardinals have had a true, all-world talent at running back? 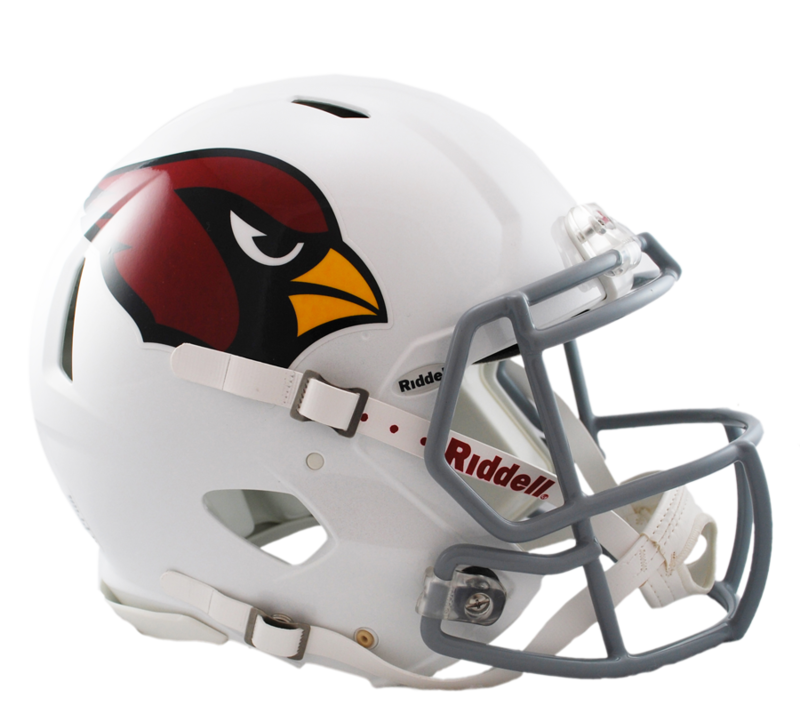 This is a grand opportunity that could potentially open up the play-action which would give Palmer more time to connect on intermediate routes with his big, talented receivers. 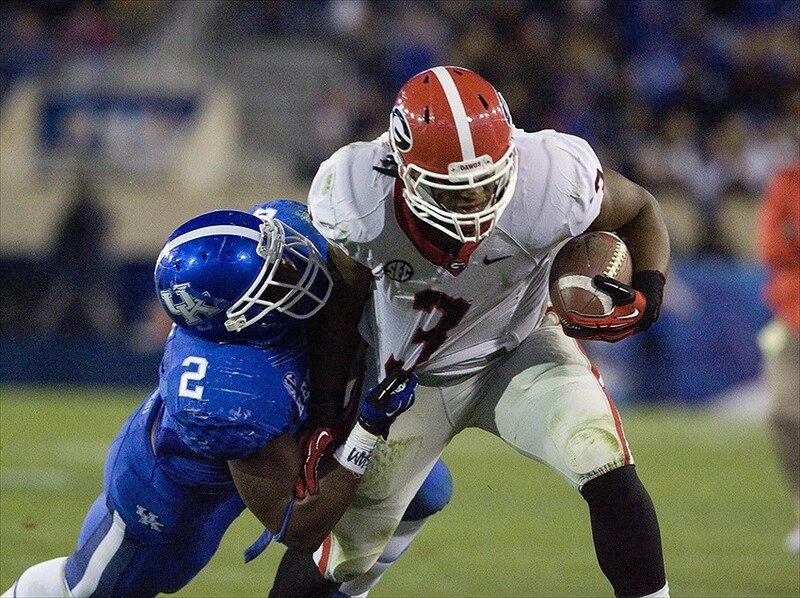 Not to mention Gurley is ready for primetime, right now. He’s the best running back prospect since Adrian Peterson, hands down. Watching Gurley play is legitimately exhausting, he churns out the hard yards on nearly every down, he’s got the rare ability to fall forward on almost every run, he possesses a devastating quick cut and excellent burst through holes and into the second level of the defense. Being a dangerous kick returner as well, he knows what to do when he gets there. Gurley is an incredibly fluid athlete with moves that suggest a much smaller man, but he’s large and thick and a load to bring down. You’ll rarely see him go down by one tackler. He’s also an accomplished pass blocker and a natural on screens. 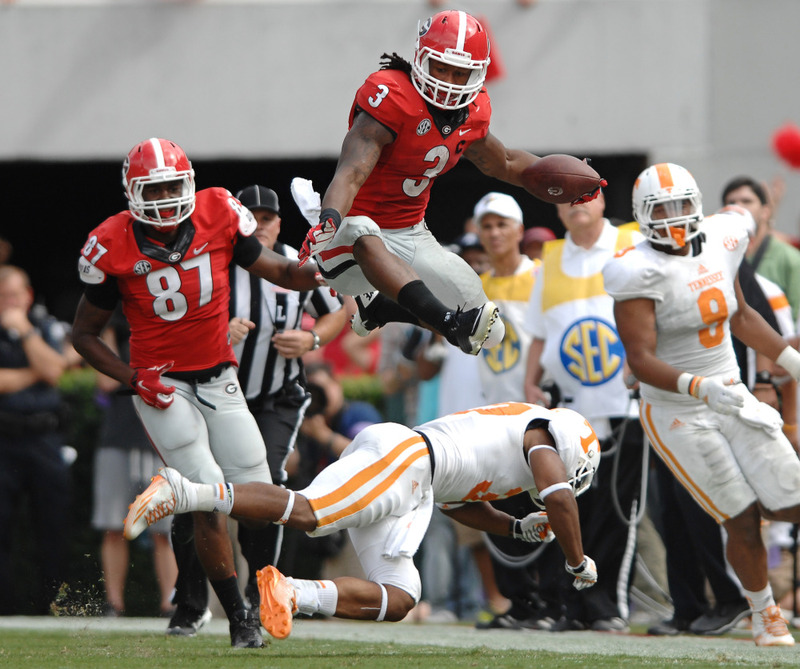 The one thing I can see missing from Gurley’s game is a cutback move. A couple of his runs he tends to try to bounce outside where there’s a ton of room with a simple cutback. 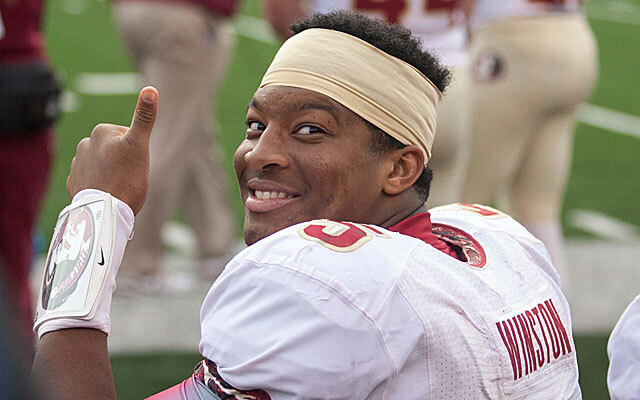 He develops that and recovers well from injury, he could be looking at 10,000+ career yards. Obviously though, a major knee injury for a running back is a big concern. If he gets back to form, he will be the steal of this draft. NFL Comparison: Steven Jackson (RB, Free Agent)- With the size and strength of a bulldozer, and an impressive array of juke, stiff arm and spin moves, possesses the speed to streak down the sideline and the balance to wiggle through holes in the A and B gaps of the line. Runs with absolute authority. The Packers aren’t going to address this problem before the draft, but their starting inside linebackers are abysmal. A.J. Hawk and Brad Jones are gone, leaving Carl Bradford as the starter alongside Clay Matthews who is better suited as an edge defender. They have to find an answer or this defense will be taking large steps backward. Ted Thompson has shown a willingness to go up and grab a linebacker he liked in the past. That man, Clay Matthews, has worked out pretty well for them. 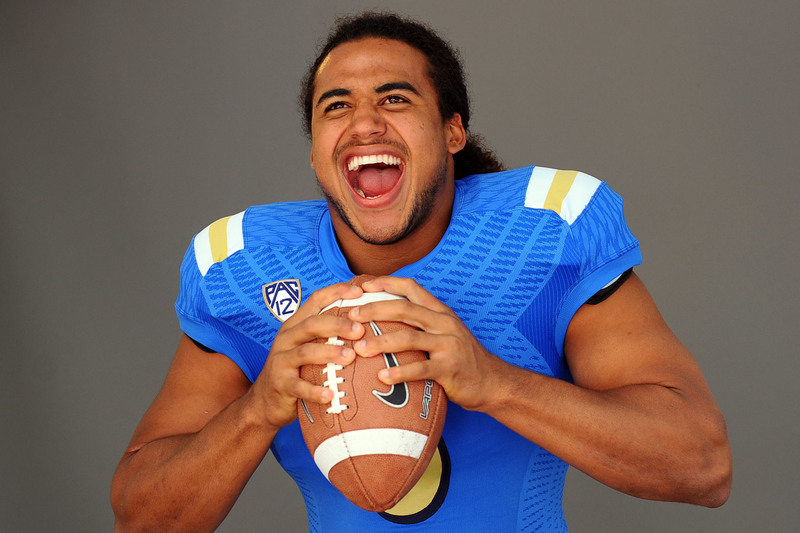 Eric Kendricks is worth the investment for Green Bay who desperately need better athletes in the middle of their front seven. 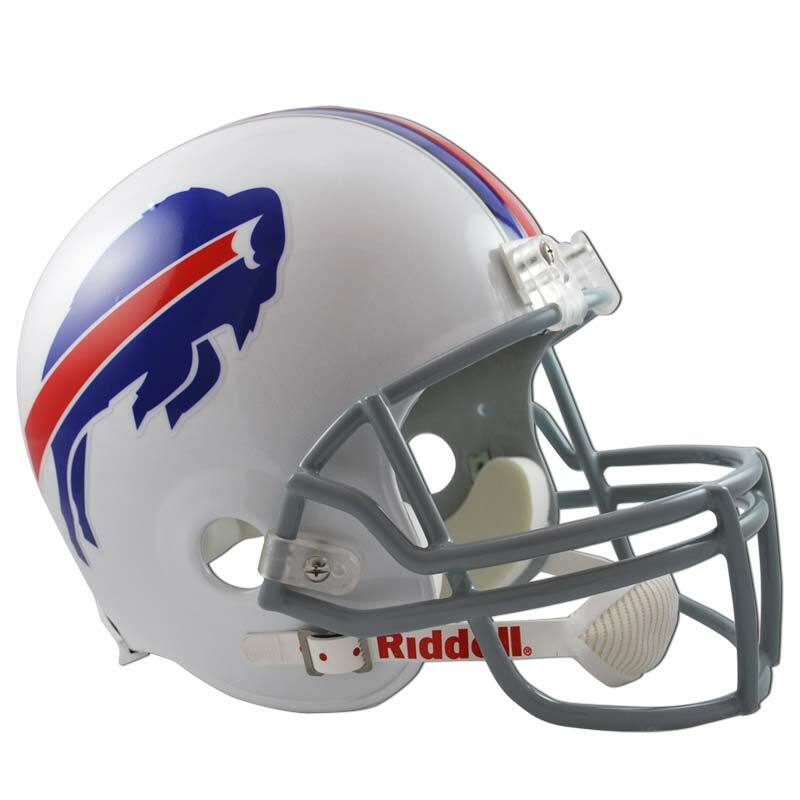 Kendricks is an incredibly hard worker with a high motor and superior field awareness. He’ll be ready to contribute immediately and may be ready to start immediately. He likely won’t ever be a super star, since he lacks off-the-charts measurables, but he’s a natural as both a run-stopper and in pass coverage. A jack of all trades linebacker, he gives Dom Capers an extremely versatile piece to work into the defensive formula. Kendricks shouldn’t be asked to cover Jimmy Graham, but I think he can handle most tight ends in the league, he’ll be at his best in zone coverage where his superior instincts will help him thrive. 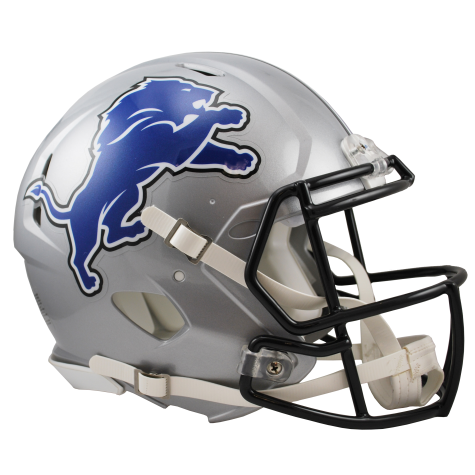 NFL Comparison: Stephen Tulloch (LB, Detroit Lions)- A tad undersized, an impact player in coverage and against the run with solid, but unspectacular athleticism, not a force as a pass rusher but very good manning the middle of the defense. The Ravens have to be quick about plugging the hole in their defensive line. 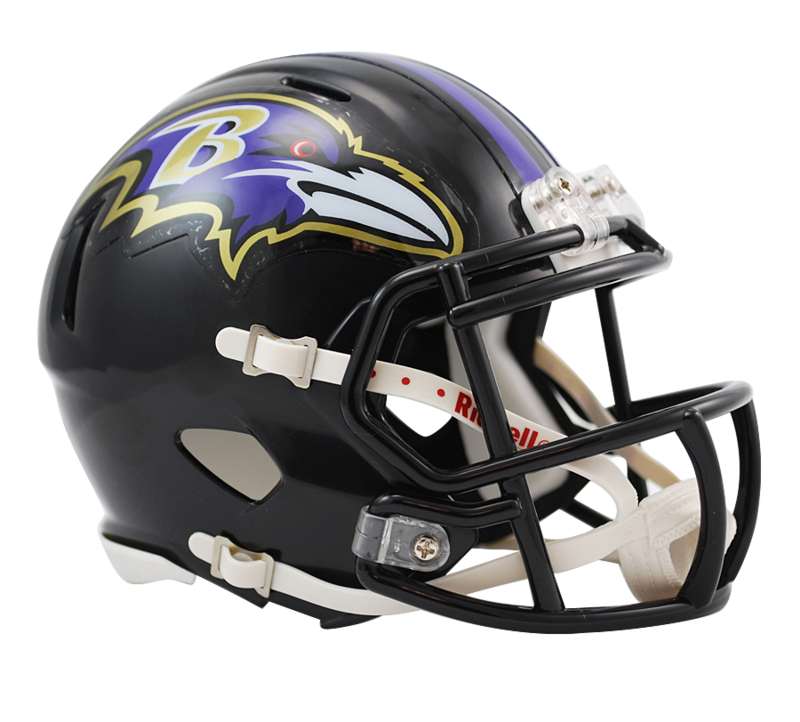 Losing starters Pernell McPhee and Haloti Ngata hurt in both run support and pass rush, they need a versatile big man to help ease the transition as they continue to get younger on that side of the ball. They might like a receiver here but Green-Beckham doesn’t strike me as an Ozzie Newsome guy and there will be plenty of potential contributors available in round two. 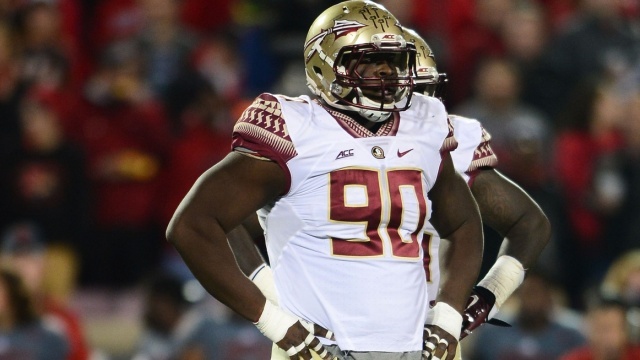 Eddie Goldman is a savvy defender at the line of scrimmage, he’s smart about disengaging blockers and has great hand usage. What makes him special is his burst for his size, with free releases, he’s on the quarterback in the blink of an eye. He plays with a high motor and is an active fighter, rarely giving up on a play. He must do a better job with anchoring; he plays with his pads too high and gets pushed around against the run as a result. If he’s coached up, this is a man that can do some serious damage as a pass-rushing nose tackle, a rare breed. NFL Comparison: Michael Brockers (DT, St. Louis Rams)- A force in both pass rush and run defense, savvy lineman who anchors well but can stand to improve with massive frame, pass rush isn’t consistent but certainly flashes, possesses great physical gifts. 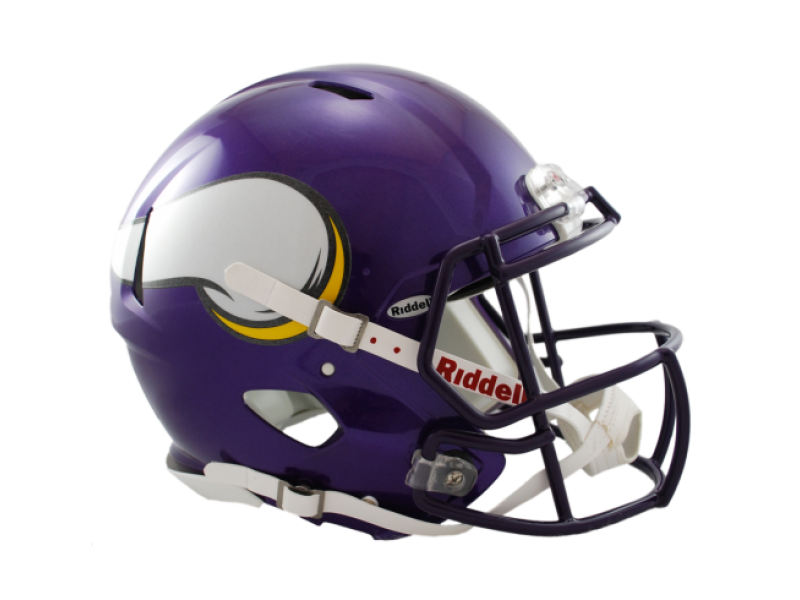 The Vikings are another team with a litany of needs. 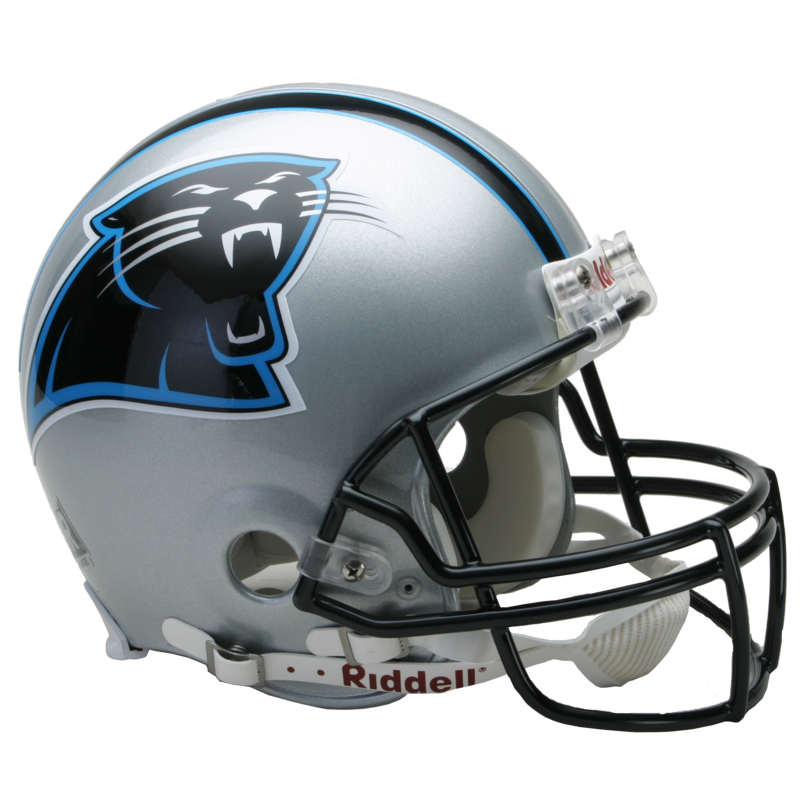 They’ve got a good young quarterback, a solid young receiver in Charles Johnson and a promising young safety in Harrison Smith. Also, last year’s big money man Everson Griffen has panned out so far. They can stand for upgrades pretty much everywhere else on the roster. So why a running mate for starter Xavier Rhodes? 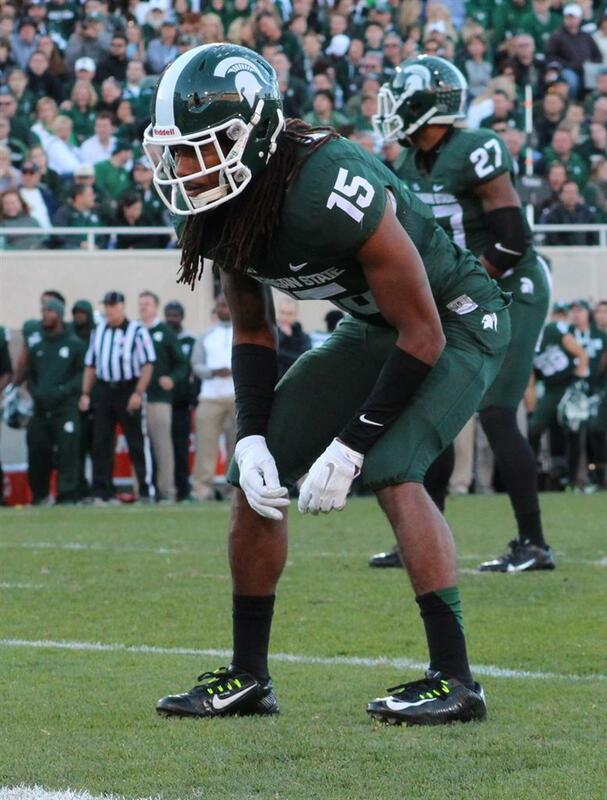 Simple, Waynes is a top-10 talent and he’s available outside the top 10. Waynes has ball-hawking abilities, excellent speed to close on deep balls, good man-coverage/press abilities and fits the scheme for the Vikings. 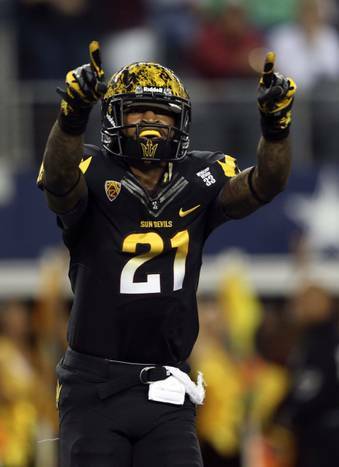 He would immediately help solidify the secondary in much the same way that Desmond Trufant did for the Falcons a couple years ago. Is that you, Richard Sherman? 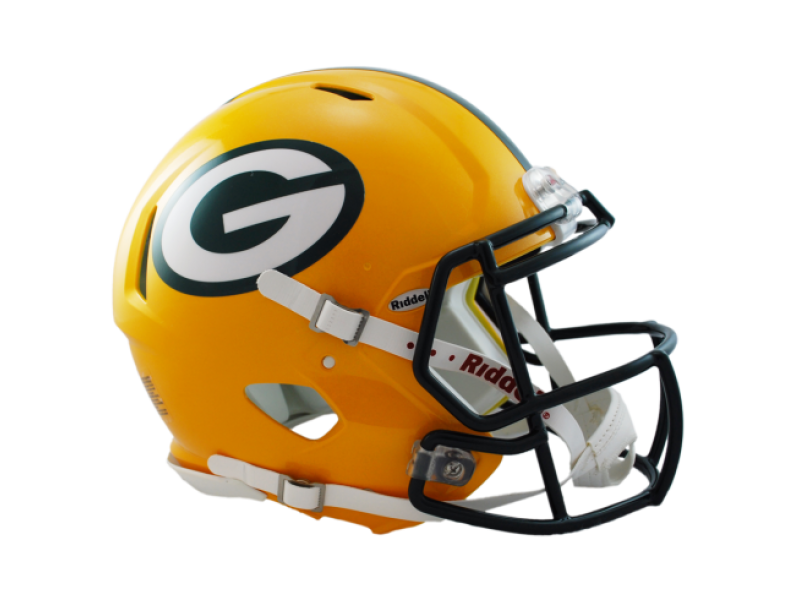 NFL Comparison: Al Harris (CB, Green Bay Packers)- Man/press corner with fluid hips, shutdown skill traits, physical throughout the coverage and always in position to contest for the ball at the highest point. Josh Gordon is pretty much a lost cause, no matter how talented he is. Also, did you see how bad Josh McCown was last year with two quality receivers last year in Evans and Jackson? Imagine him throwing to Andrew Hawkins and Dwayne Bowe. Can you win less than 0 games? 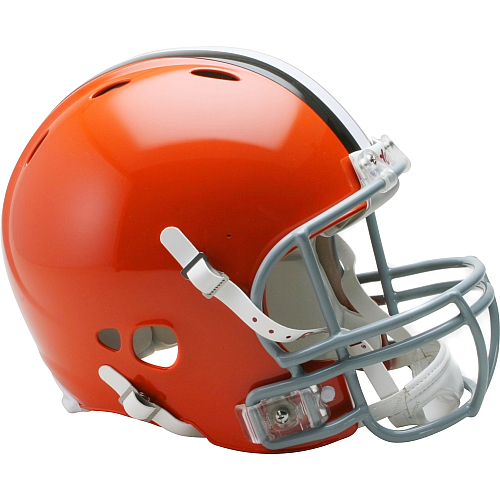 Needless to say, the Browns have to start injecting some talent into their receiving corps. Parker fits the range here and provides an all-around receiver who is big-bodied, tall and consistent. Though it might have been nice to grab a lineman here, there’s no pure right tackle that really fits at this juncture. Plus, they have two first round picks, so there might be better options for the range at 19. Parker should step in immediately as a package player and fight for more playing time very quickly. NFL Comparison: Limas Sweed (WR, Pittsburgh Steelers)- A consistent producer, can get behind defenses but does his best work in traffic, needs more polish as a route runner, uses his large frame to shield defenders and consistently come down with the contested catch. 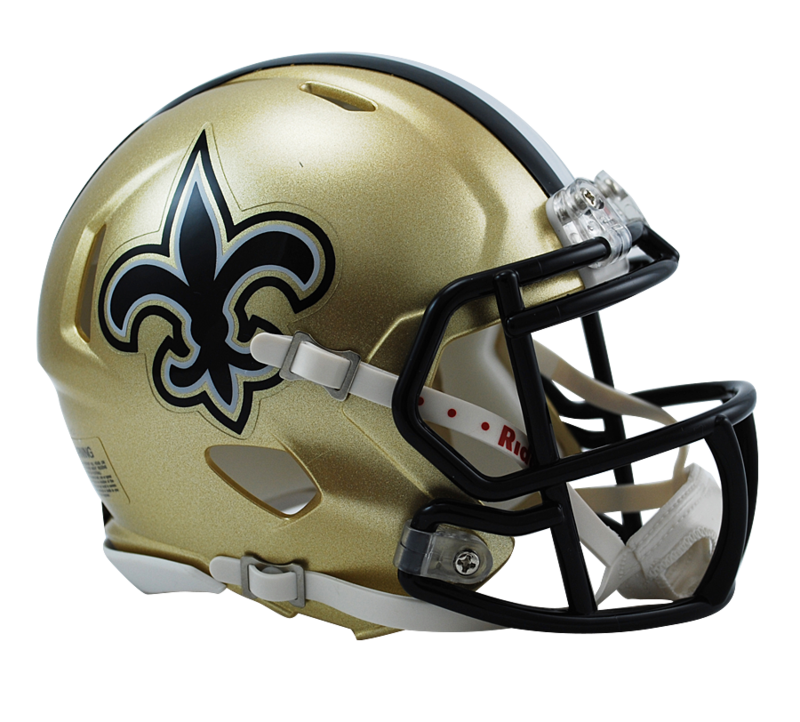 The Saints, despite what most people are aware of, want to move on from their top sack-specialist Junior Galette. 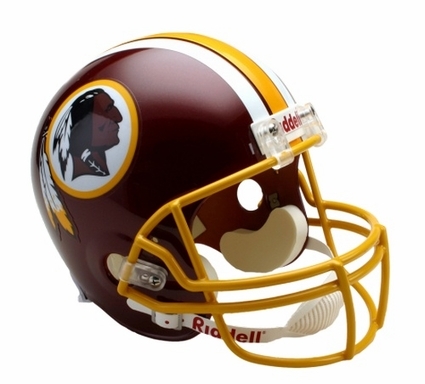 Ray is about as close as this draft has to Galette in terms of pure pass-rushing skill set. 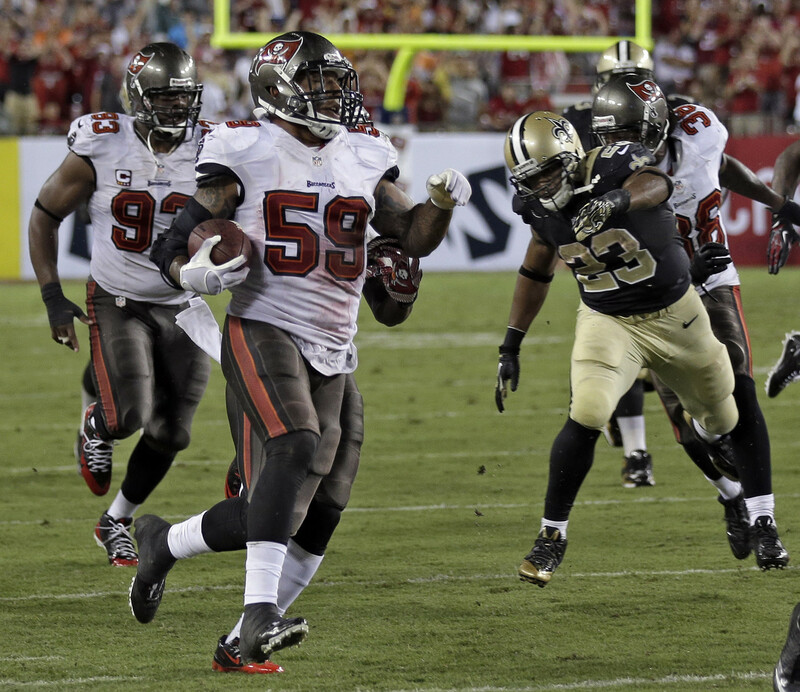 Ray is certainly more raw but he’s more pro-ready than Galette was when he came out. 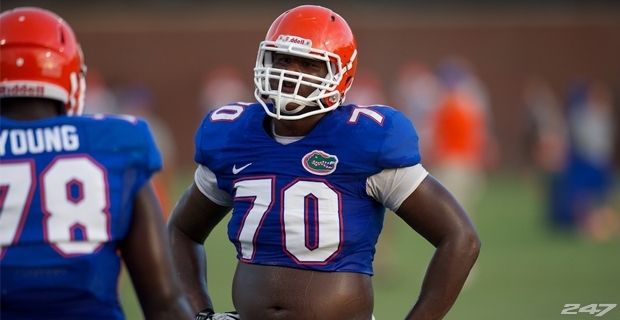 I look at this pick as a way to replace Galette, versus an option to pair with him. Though I could be wrong. Waynes is no longer on the board so no defensive backs fit the range. La’el Collins could be tempting here but this is banking on Payton really wanting to move on from their top pass-rusher who has been in legal trouble recently. We’ll see how that all plays out. Not to mention, Ray is a top-10 talent in this year’s draft so he has very good value at 13. 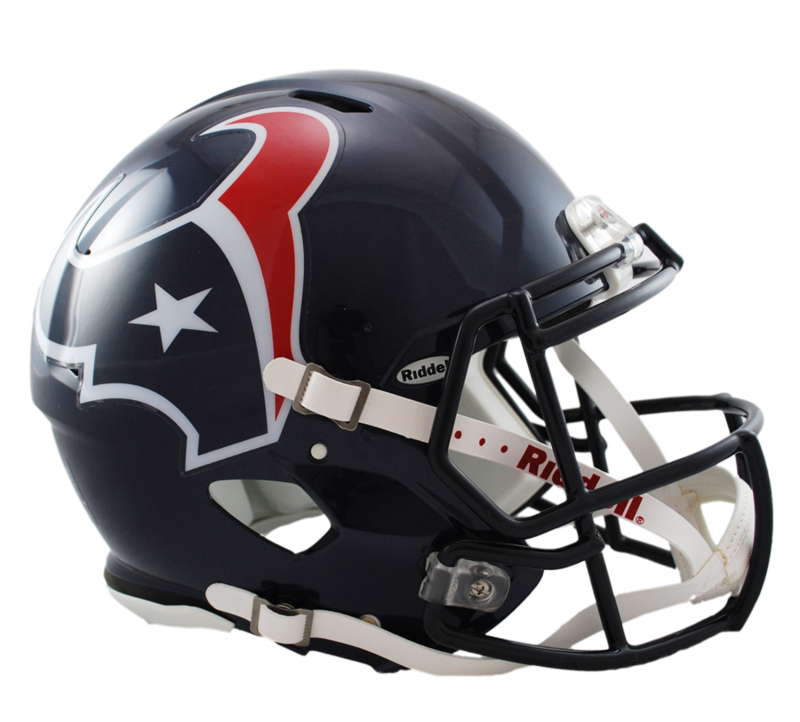 2014 Stats: 65 tackles, 22.5 tackles for loss, 13 sacks, 3 forced fumbles, 1 blocked kick. NFL Comparison: Larry English- Strong in the pass rush, with raw, unrefined technique. Adept laterally against the run but struggles when having to play downhill, often washed out of the play by more powerful lineman, also lacks ideal length as a pass-rusher. The Dolphins spent big in free agency on defense. A lot of their salary cap is now occupied by defensive players and what typically happens in those scenarios is the other unit suffers. The way to avoid this is to inject cheap, young labor into the other side of the ball. 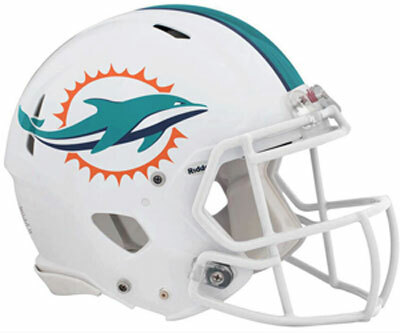 Good start with Kenny Stills, but the Dolphins o-line has been a problem since Jake Long flamed out. 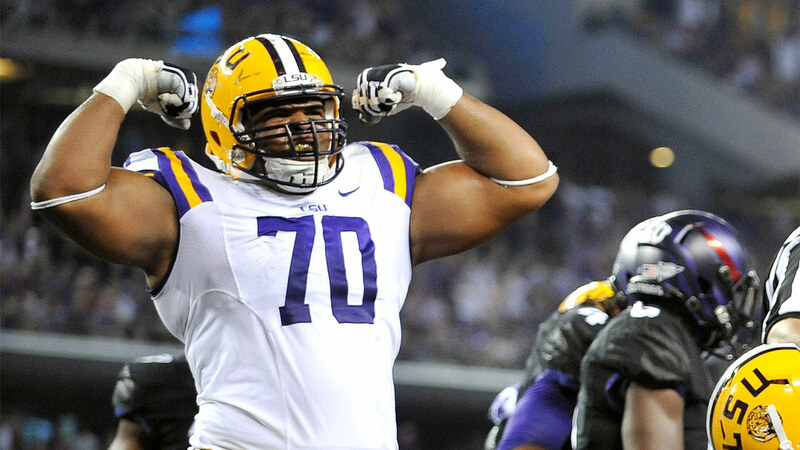 La’el Collins instantly adds depth to the line and can likely take up a guard spot very early in his career. I hesitate to say he’s a day-1 starter just because Zack Martin worked out for the Cowboys last year. Remember, he had Frederick (an excellent young center) playing next to him the whole time. I also don’t think Collins is quite on Martin’s level in pass protection. As a road grader with bad intent though, the Dolphins couldn’t do much better. 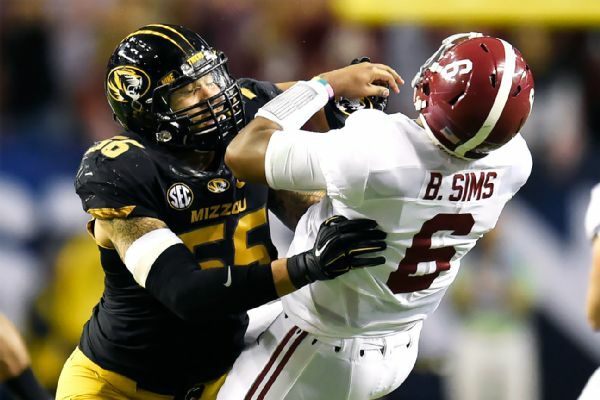 NFL Comparison: Shelley Smith, G, St. Louis Rams- While not quite skilled enough to stand out as pass-blocker, the push in the run game is highly impressive. 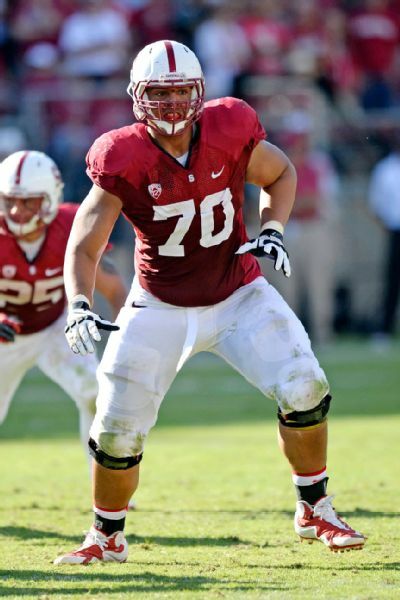 Prototypical frame for a flexible lineman, could stand-out as a right tackle later on. The 49ers need a new defense. They have a few holdover starters and a whole lot of question marks heading into the Tomsula year(s). 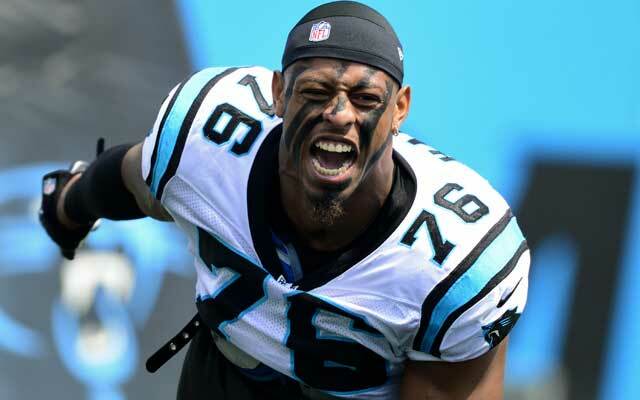 The biggest problem, arguably, is cornerback where starters on both sides of the defense have left via free agency. This is especially distressing since Culliver and Cox were two of the bright spots on a 49ers defense that really kept the team afloat last year amid all the controversy. 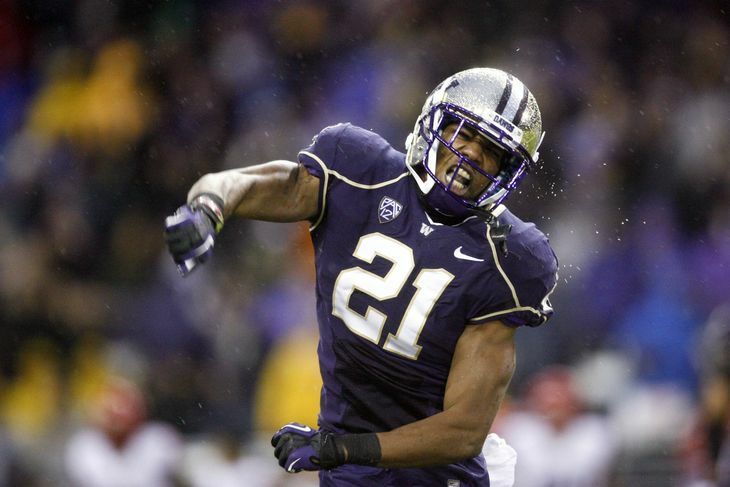 Marcus Peters, talent-wise, fits the range as a top-15 player. 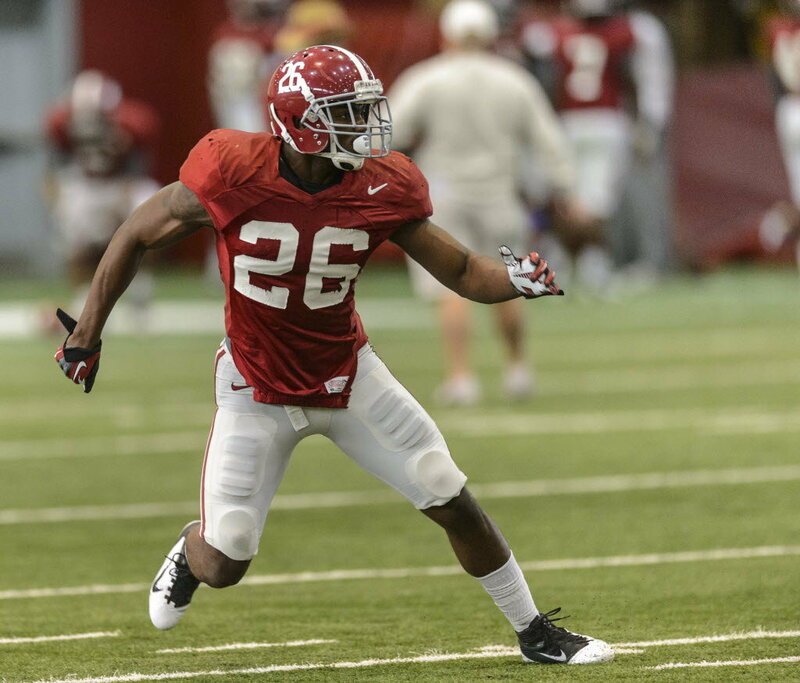 He comes with serious character concerns but Perrish Cox had similar issues in his starting role. The 49ers are a team that’s been known to gamble in the draft, and they do it again here at a position of dire need. 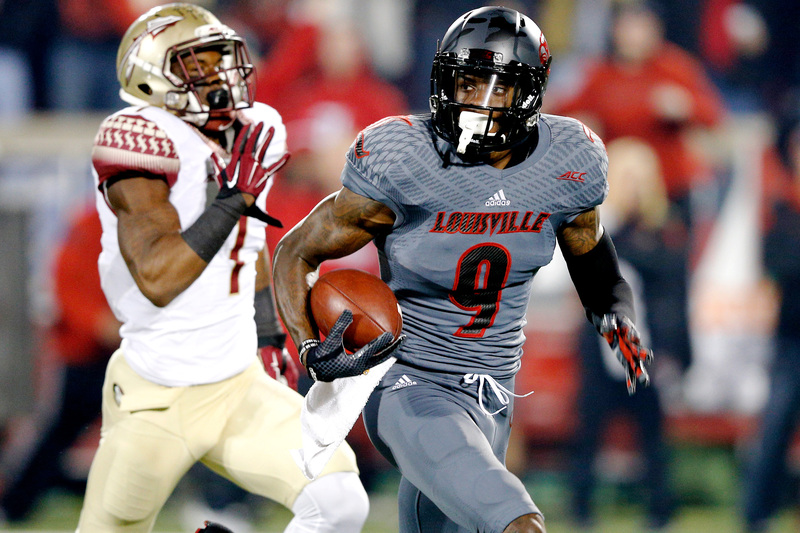 Peters has scheme versatility and polish like no other corner in this draft. Though he’s not as strong in man as Waynes. NFL Comparison: Jonathan Joseph- Not overly impressive size or frame, makes up for it as a feisty defender at the point of attack. Has a nose for the ball and the closing speed and awareness to turn deflections into interceptions. Brown is coming off a down year following a devastating knee injury that he wasn’t quite able to get over until late in the season. Still, his play down the stretch in 2014 was solid, and though it was two years ago, he snagged 8 interceptions in one season for the Giants. Intriguing ability mixed with a prime age (he’ll turn 28 in July) will cause a team to give Brown a call eventually. It also helps that the draft is weak on safeties. 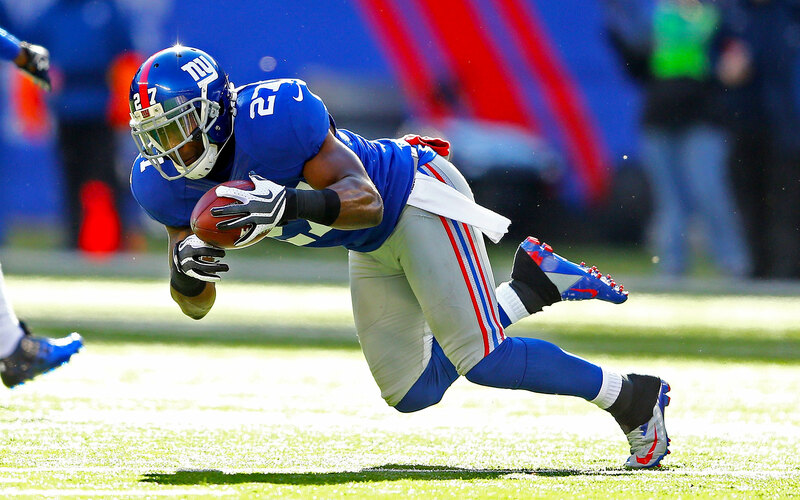 Prediction: Re-sign with the Giants, the team that got the best out of him will hope to do so again. 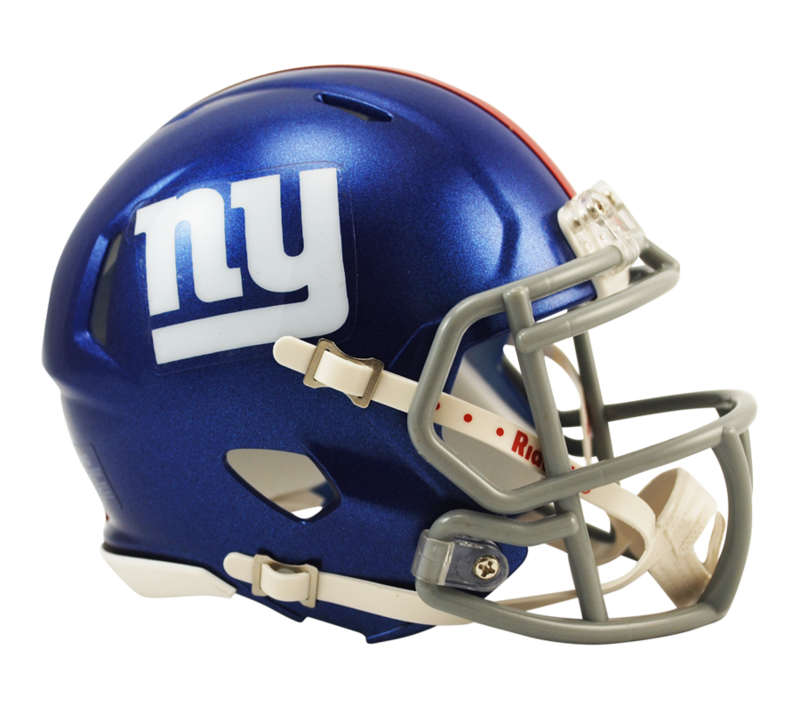 They’d better too, Cooper Taylor and Nat Berhe are the only other safeties under contract for the G-men. 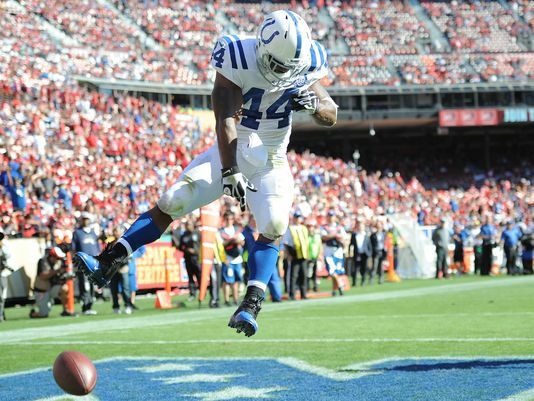 Bradshaw has always had an injury problem. He’s also always been great when healthy. He’s a high effort runner with great burst, runs with surprising strength and can play all three downs as a running back. He can catch the ball out of the backfield and rush it up the middle, on counters or on pitches. He’s got a little more left in the tank then similar free agent Pierre Thomas and probably with a smaller price tag. Whoever grabs Bradshaw will likely get a bargain for how much he can contribute (He had 8 tds last year in limited time). Especially considering his recent citation for marijuana possession. Prediction: New England Patriots- He and LeGarrette Blount can hang out. It’ll be great. The way he played in the last few games of the season and into the playoffs for the Cowboys, you’d think the guy was a pro bowler. That’s what Spencer is at the height of his potential. The book on Spencer is that he’s injury prone, but teams could get a potential steal in Spencer if he can manage to stay healthy. He’s still a legitimate threat to rush the passer, despite continuing to age. Because of the injury, there’s not as much tread on the tires despite being on the wrong side of 30. He’s excellent at setting the edge of a defense and can drop and cover screens in limited space. He’s a very strong form tackler as well. 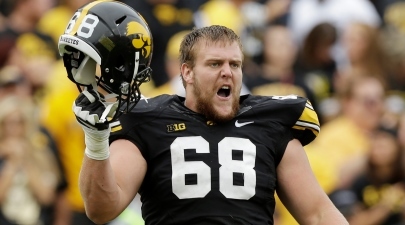 Prediction: Seattle Seahawks- He would fit right in as a very similar pickup to Michael Bennett a few years ago (who had also been a disappointment) The possibility of playing for a Super Bowl team could cause Spencer to jump ship, especially with the Cowboys throwing all their money at Hardy. He’s just a couple years removed from being one of the hottest names in fantasy. He’s not too shabby on the field either. 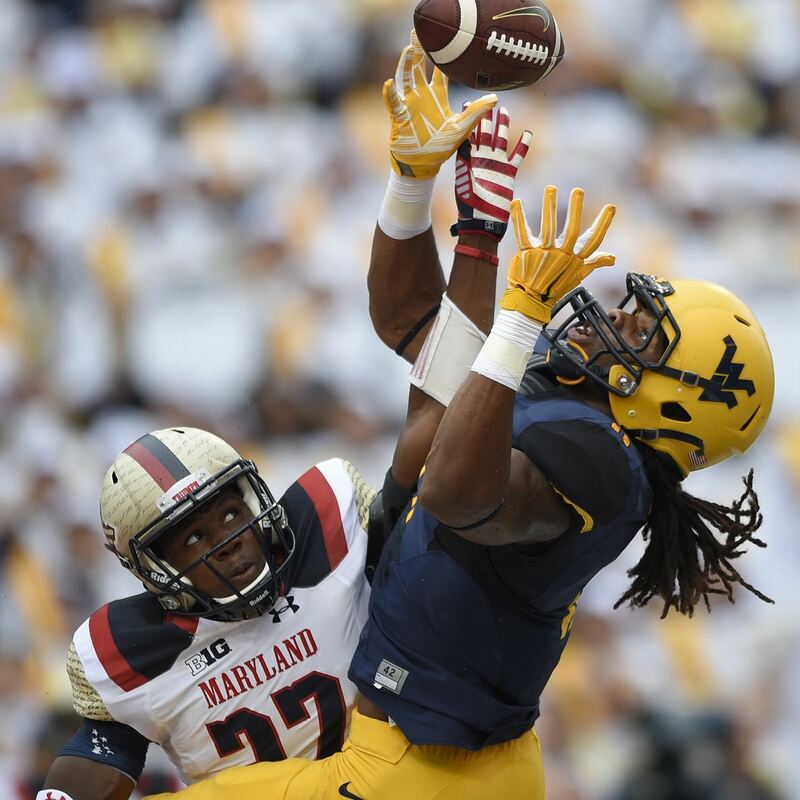 When healthy, Ridley is an all-around back with a bit of a fumbling problem. Reminds me a lot of Mendenhall leaving Pittsburgh a few years ago. Basically what that means is, buyers, curb your enthusiasm. He could return to pro bowl-esque form, but he could also retire young. Buy low on this kid and you may well just get a huge bargain. He’s only 26. Best of all, no real off-field issues and his injury problem isn’t recurring. 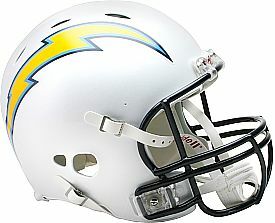 Prediction: Dallas Cowboys- At the right price, I love the fit, Ridley would absolutely thrive behind that offensive line and provide solid insurance in case McFadden were to do what McFadden does best (spend game days on the stationary bicycle) Oh yeah, and the fumbling problems will remind Cowboys of the dearly departed DeMarco Murray. There was a time where Foster and LaVonte David made up one of the most fearsome young linebacker duos in the NFL, ah 2012 was a funny time. And Bountygate, hilarious. The spell has worn off and Foster is merely a middling starter at middle linebacker who no longer fits in Tampa Bay’s plans. In the right system, maybe as a 3-4 ILB, Foster could thrive as he is solid against the pass and strong in run support. However, there’s not too much excitement on a guy that already seems to be declining in just his fifth professional season. Still, as price continues to go down and the market settles, his skill-set should be coveted as a bargain find. He’s a plug and play option. 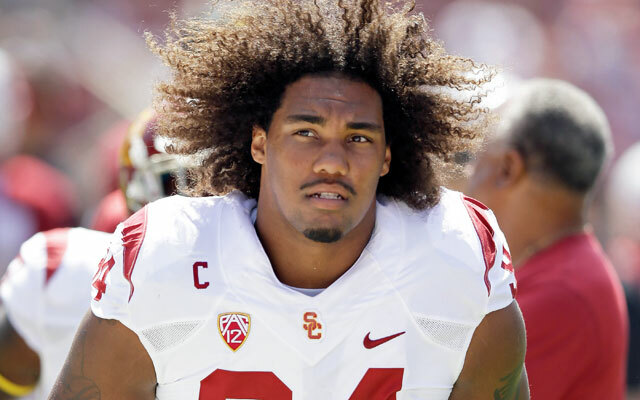 Prediction: San Francisco 49ers- They really can’t afford to not bring him in, at least for a look. Chris Borland is gone, Patrick Willis is gone. The cupboard is pretty much empty and the 49ers have to patch holes in their sinking ship somehow. This guy needs an attitude adjustment. Coming out of Texas Tech, I lauded this prospect. He finally proved me right in 2012 with an excellent breakout campaign. Unfortunately, things haven’t gone so well since. 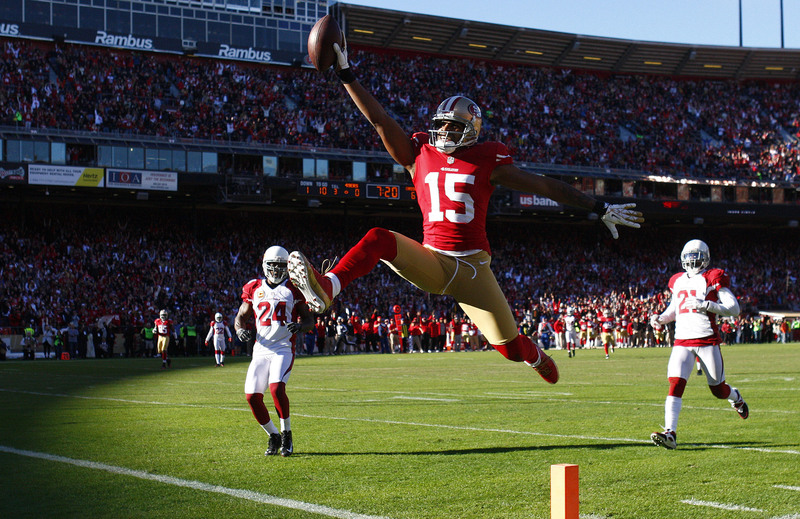 Injuries, inconsistency in the locker room and effort have all dropped Crabtree’s stock. Believe it or not, though, I think this guy could help a team in need of a receiver, and in the right situation, with enough patience, I really think he has all the skills to thrive as a solid WR1 option. Of course he could just as easily bust out of the league. 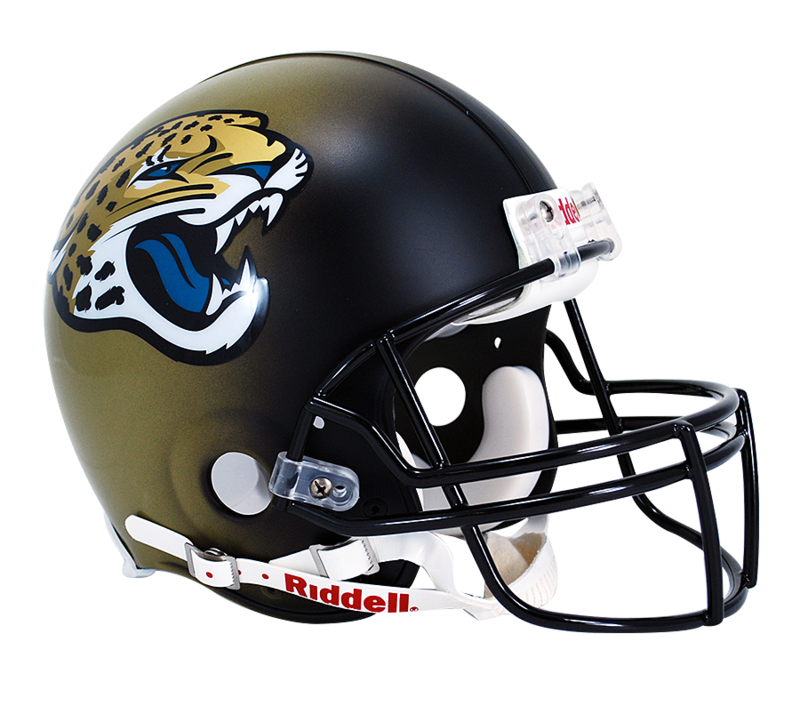 Prediction: New England Patriots- How about none of the above? If anybody can handle this guy, it’s Belichick. And if anybody can maximize his skill set, it’s Tom Brady. 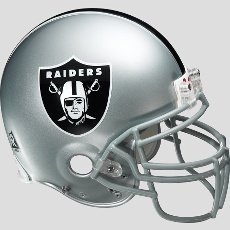 I think Crabtree would love being in a consistent winning atmosphere with a hall of fame quarterback. And the Patriots need to upgrade from Brandon LaFell, a middling WR2 at best. The former top 10 selection finally put it all together last season. He was instinctive and tenacious against the run, he was a natural clogging throwing lanes down the seam. He made plays from sideline-to-sideline and made the worst defense in the league play like they were somewhat competent. 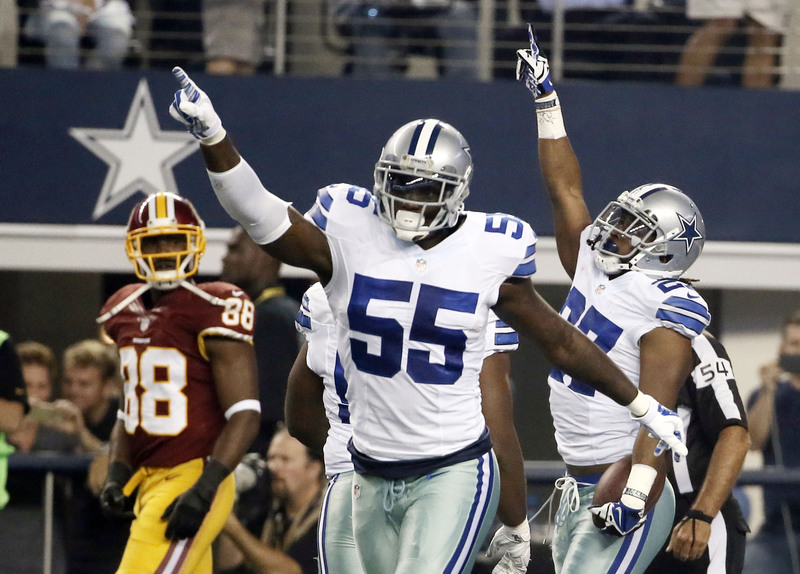 McClain really was the glue that held it all together on the field, the same way Marinelli was that off the field for the Cowboys defense. The only reason McClain isn’t cashing in big this off-season is because he’s never worked out anywhere else, also he had some nagging hamstring issues last season. As long as he doesn’t decide he’d rather spend his days fishing on a lake, McClain would be an excellent bargain find for any team in need of help in the middle. Prediction: Dallas Cowboys- The Cowboys know what he brings to the table, they know what his value is, and no other team is going to pay more. His market is likely shot for concerns about his desire to play and a substance abuse citation in February. He was probably the most solid and consistent member of a shaky Rams offensive line last year. He was especially excellent in the run-game as a right tackle. 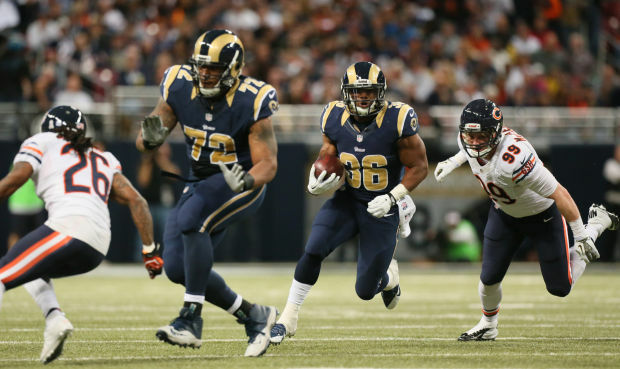 His blocking is one of the main reasons Tre Mason had so much room to maneuver last season when he came on late. Barksdale wasn’t as strong against the pass rush, surrendering seven sacks, but part of that could have been the revolving door at quarterback, and teams could scheme around that weakness. Barksdale’s best fit is in a run-heavy offense a la Seattle or Dallas, unfortunately neither team has a glaring need at tackle. He’s only 27 so the phone should be ringing soon, now that the market has thinned out a bit. 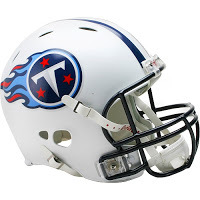 Prediction: Tennessee Titans- Whether they stick with Mettenberger or draft Mariota, it’s not gonna matter if they spend 90% of their time on their backs this season. Last year’s draft pick Bishop Sankey is also in line for more carries, so the Titans get it done with Barksdale, and probably overpay just a little. 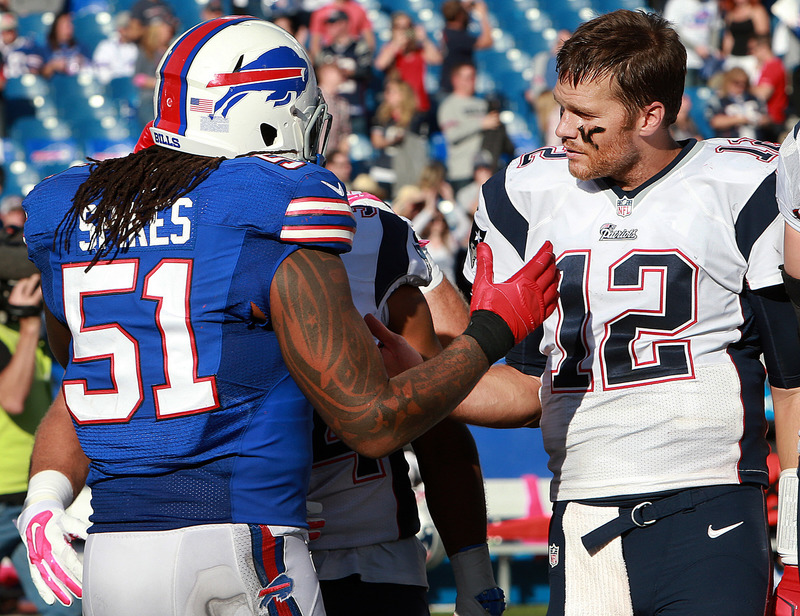 What’s the deal with Brandon Spikes? Just a few years ago, he was a premiere defender for the New England Patriots, now he’s struggling to find a market for his services. 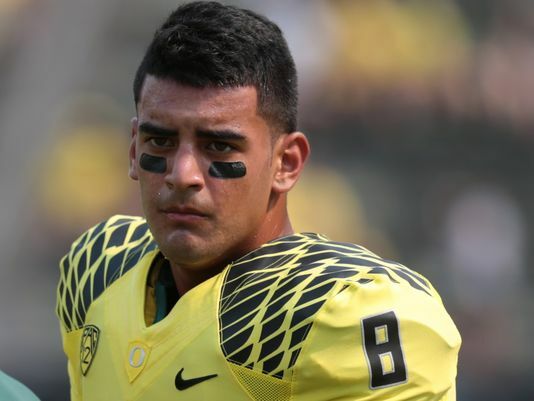 He’d be an excellent find for 1 years, 3 million and can start and help almost any defense immediately. He’s excellent as a run-stuffer and he’s still really young, just 27. Any off-field issues there once were haven’t cropped up in a while and it seems like he just wants to play for a winner. Buffalo didn’t give him the time of day last year, any team would be wise to this year. 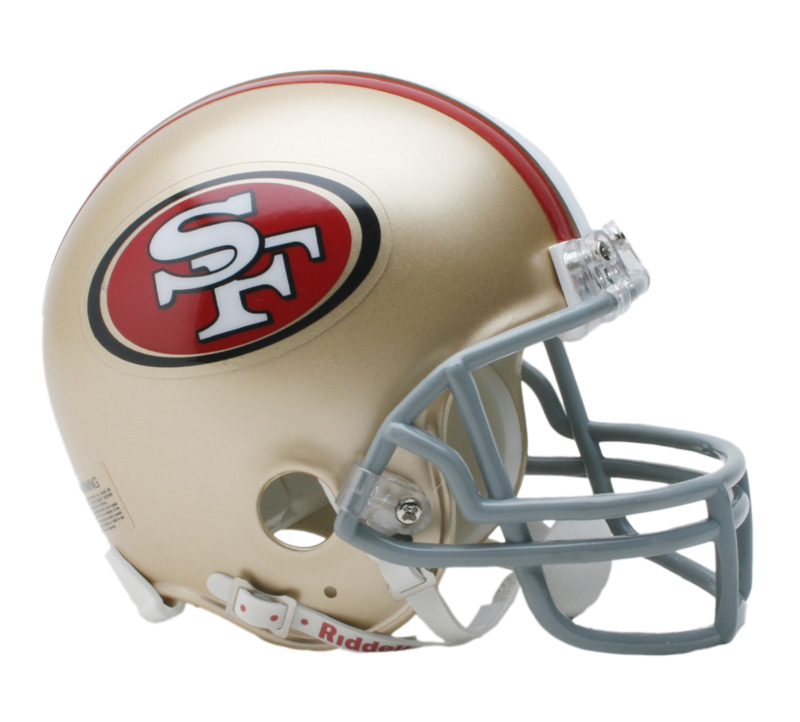 Prediction: Green Bay Packers- At this point, the 9ers already snagged Foster, probably for too much money (Thanks Trent Baalke) so they’re out on competing for Spikes. He doesn’t fit there either. Here’s where he does fit though: Dom Capers asks his inside linebackers to hold up strong in run support. That’s what Spikes does. He immediately makes that defense better, and since Ted Thompson is a good GM, he will probably come at a huge bargain. How has this guy not been picked up yet? 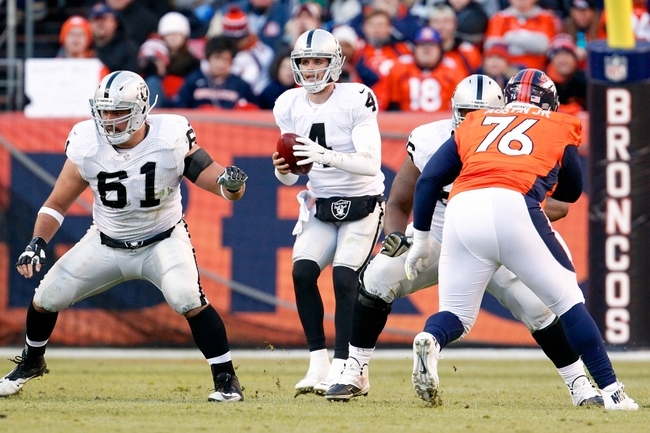 He’s 25, he’s an excellent center, he was the best player on the Oakland Raiders line after Jared Veldheer left. He gave Derek Carr the ability to step up in the pocket last year in spite of the talent around him. And yet, he can’t find at least one team to way overpay for his services. Wisniewski would be wise to follow the winners instead of the money, he’ll make more money later that way, since he likely hasn’t yet entered his prime. The book on Wisniewski is he’s a better pass protector than run-blocker. In this pass-heavy league, he shouldn’t have too much difficulty finding a home once he gets his market figured out. 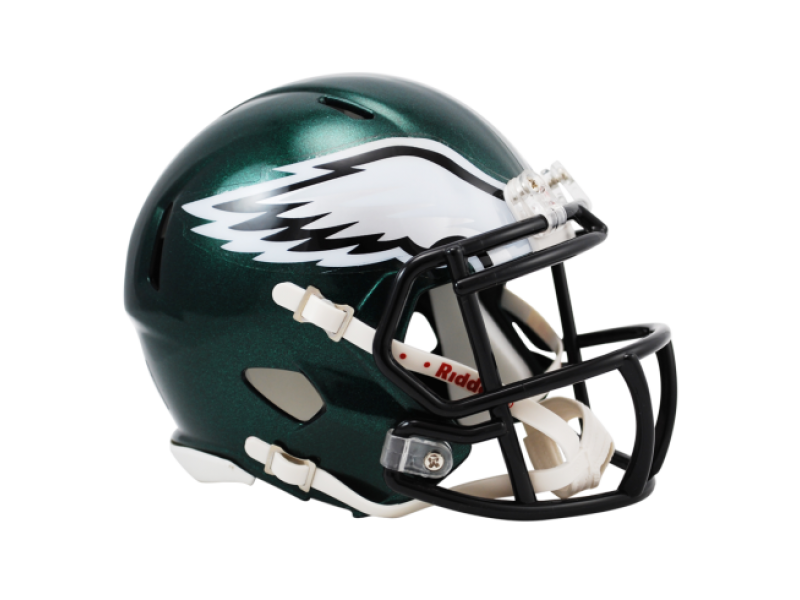 Prediction: St. Louis Rams- They need to think about protecting Nick Foles, who prefers to play from the pocket (which is probably why he said he didn’t like it in Philly), and they have holes all over the line. Wisniewski was projected to be able to slide to guard if needed but his best fit is at center. The Rams need a replacement for Scott (Old man) Wells. Who do you want for your team? Difference of opinion on these guys? Drop your slant in the comments section. No pressure on the Jets staff to make the playoffs or be fired (like Rex Ryan) allows them to not reach for a QB like Mariota whose question marks as an NFL-level passer don’t fit this range. So instead, defensive-minded head coach Todd Bowles gets a shiny piece of molding clay. 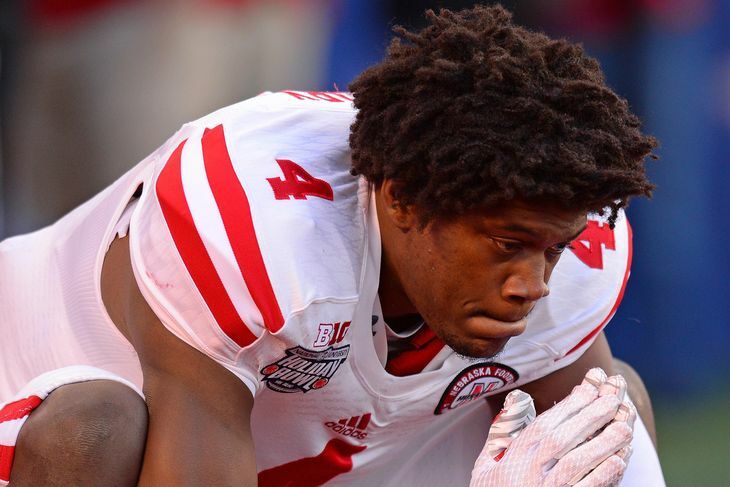 Randy Gregory has all the physical tools to become a dominant edge rusher. He’s not there yet but he will immediately contribute in the run game, Bowles likes to use his corner blitzes for pressure anyway so there’s no rush for Gregory to develop. 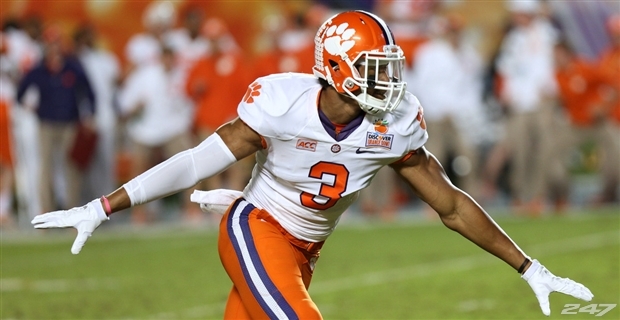 In this situation, Gregory could reach every bit of his All-Pro potential. NFL Comparison: Barkevious Mingo (OLB Cleveland)- A little on the smaller side for a 3-4 OLB but with elite quickness and overall athleticism, raw and lacking in eye-popping production, all the potential in the world. The Bears need help everywhere, literally everywhere. 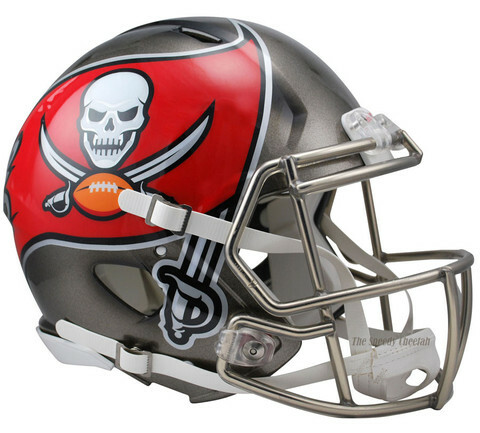 Probably their most solidified position is wide receiver (even after the Brandon Marshall trade). 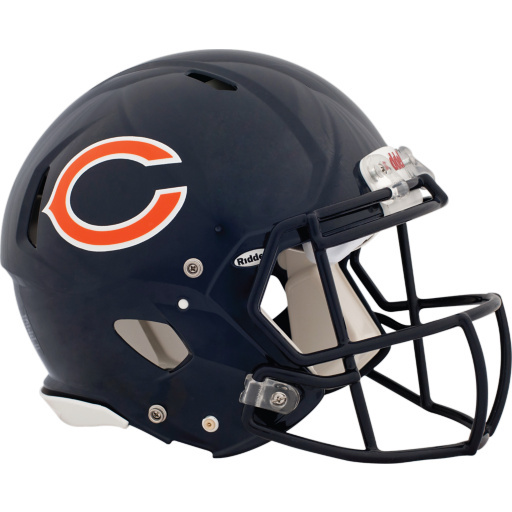 But the Bears failed to replace Henry Melton after he was injured and left for Dallas last year and they also lost Stephen Paea in free agency so an upgrade to the defensive line is in order. 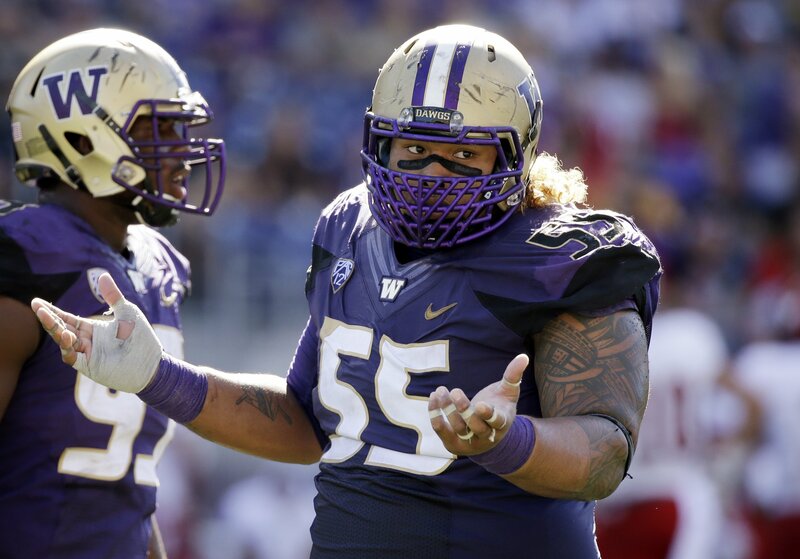 Danny Shelton has traits to match his outrageous production, many scouts have fallen in love with the Washington product as much as we can assume he loves cheeseburgers. Weight has been a problem for Shelton, as has fierce competitiveness, but as an agile space-eater that takes up double teams, there isn’t a better player in this draft. 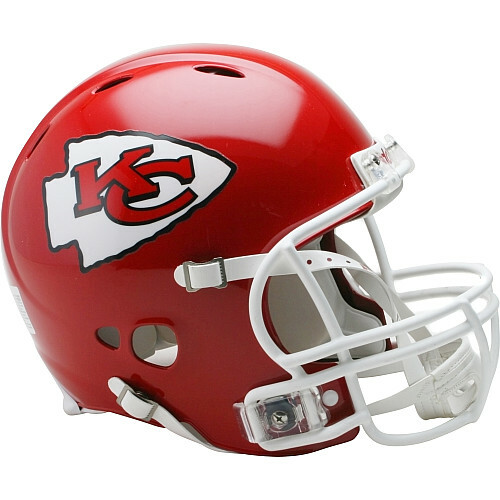 NFL Comparison: Dontari Poe- Has surprising athleticism, bullies lesser competition and eats up double teams consistently. Also a surprising factor in the pass rush. 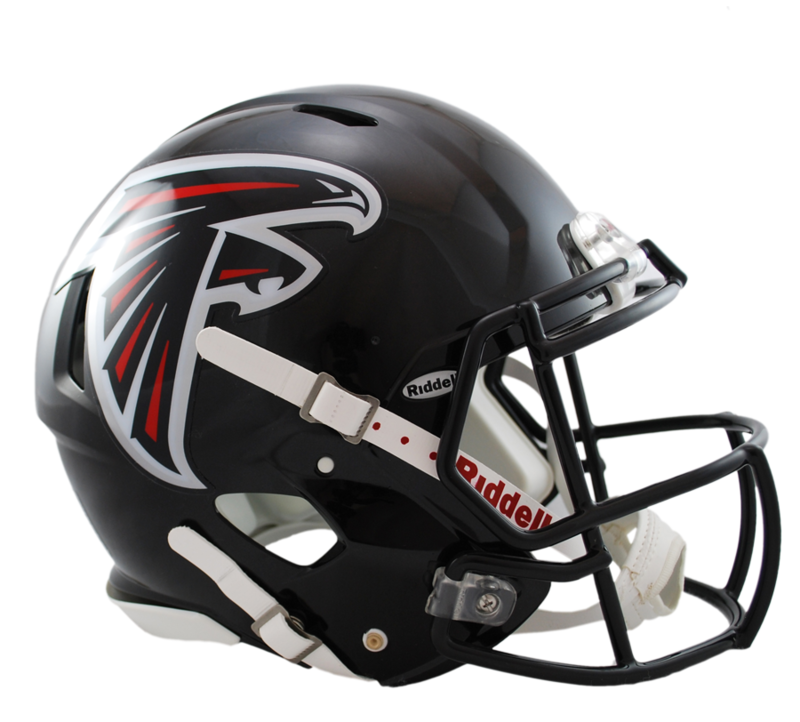 Falcons need a pass rusher, they have forever (since John Abraham drifted off into the sunset), they tried Osi Umenyiora last year, no dice. They grabbed Brooks Reed (more of a traditional 4-3 OLB) and Adrian Clayborn (mediocre and injured), but Dan Quinn is thankfully smart enough to know the problem isn’t solved. Watch out for a possible trade for Michael Bennett by the former Seahawks defensive coordinator, but if everyone stays put, Beasley is the best player on the board and fits perfectly as a 4-3 defensive end. He brings the ideal size, supreme athleticism and an impressive array of skills as both a pass-rusher and run-defender. 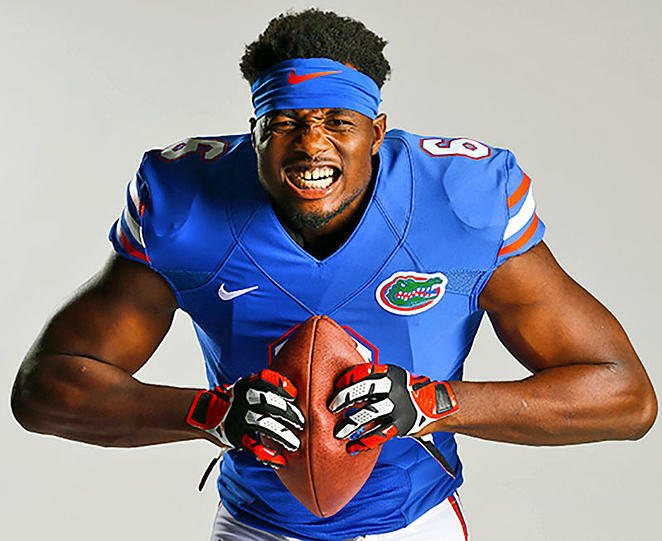 He is the most complete edge player in the draft outside of Dante Fowler, plus he said it would be a dream come true to play for the Falcons. Dreams really do come true. NFL Comparison: Robert Mathis- Instinctive off the snap, possessing strong finesse pass rush skill set, smaller size for an edge player but possesses ability to set edge and push plays out wide. The Giants have their own one-trick pony pass rusher in JPP and Landon Collins and Bud Dupree don’t fit the range, they went out and grabbed a DT (Kenrick Ellis) in free agency and there’s no inside linebackers worthy of the top 20 picks in this year’s draft. Tom Coughlin is sticking around, which means Eli will still be the quarterback. 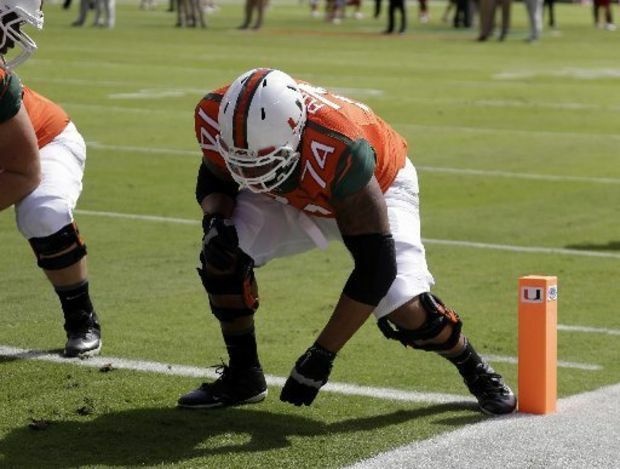 All of that in mind, it makes sense to challenge the left tackle spot with a house of a man like Ereck Flowers. Despite being so large, Flowers has swing tackle traits and surprisingly fluid feet. He’s a fast riser in both pass protection and as a mauler. He really is a prototype who could contribute from day 1 and make life easier for the entire Giants offense. As a bonus, he has the size and skills to slide inside and could supplant woeful incumbent guard John Jerry. 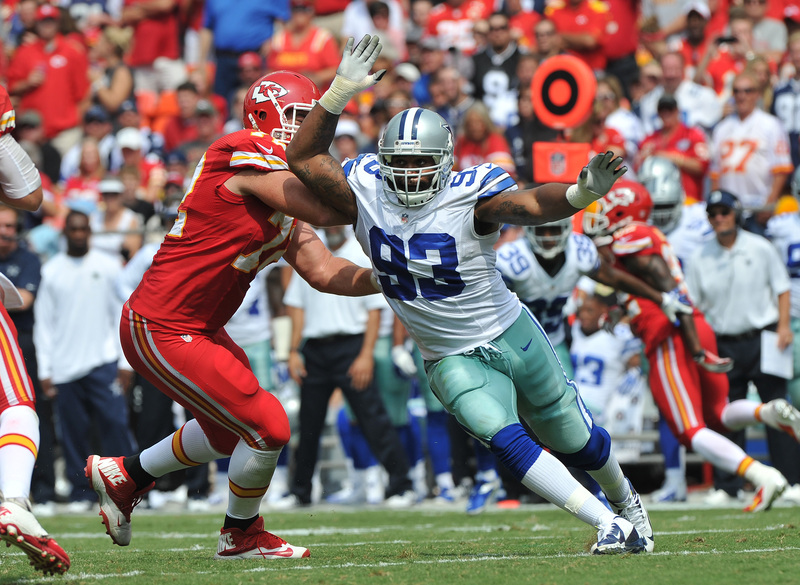 NFL Comparison: Tyron Smith (OT, Dallas Cowboys)- Possesses the quick feet and fluid hips despite the size. Athleticism is strong and a mean streak comes with it. Can road grade when asked but always ascending in pass protection. And all the Rams fans cheered. 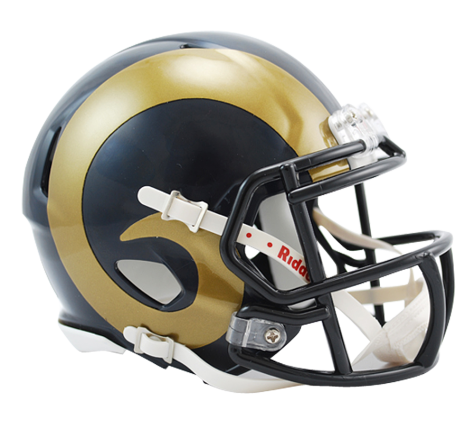 They finally found their number one receiver, and just in time to help new addition Nick Foles get acquainted with the Rams offense. While Kevin White might have a more ideal frame and more potential, Cooper has a polish and pro-readiness rarely seen from draft prospects. He also had over 1700 yards last year. Cooper provides a target on all levels of the field, he can win deep, he’ll brave the middle and he can win with quickness on short routes. He’s a coaches’ darling as he is not a diva and actually has quite a reserved demeanor. Though he’s had some issues with drops, he’s a hard worker and NFL coaching will likely help correct that. He’ll be a mainstay in any NFL offense for the next decade. NFL Comparison: Isaac Bruce (WR, St. Louis Rams)- Can pop the top off a defense or take a short pass to the house, crisp route-runner, loyal, consistent, with strong body control and vision in the open field.